There will be a fundraising picnic to help the Kalmyk Djangr team pay for expenses to travel to the 2013 World Mongolian Soccer Tournament in Washington DC during Memorial Day weekend. The festivities will begin with a soccer game at 10AM in Oak Glen Park in Howell and then followed by a picnic being held at the Olna Gazur. You can also preorder a Kalmyk Soccer Fundraiser t-shirt in adult sizes S, M, L, XL and 2XL. The cost is $20 per shirt and all proceeds will go directly to the Kalmyk Djangr team expenses and miscellaneous costs for the upcoming Mongolian World Championship tournament in Arlington, VA on the weekend of May 24th – May 26th. The small emblem will be on the left chest and the bigger design will be on the back of the shirts. Both designs were provided by Naran Badushov and will have the original spelling of the team name along with the date the first team was formed. 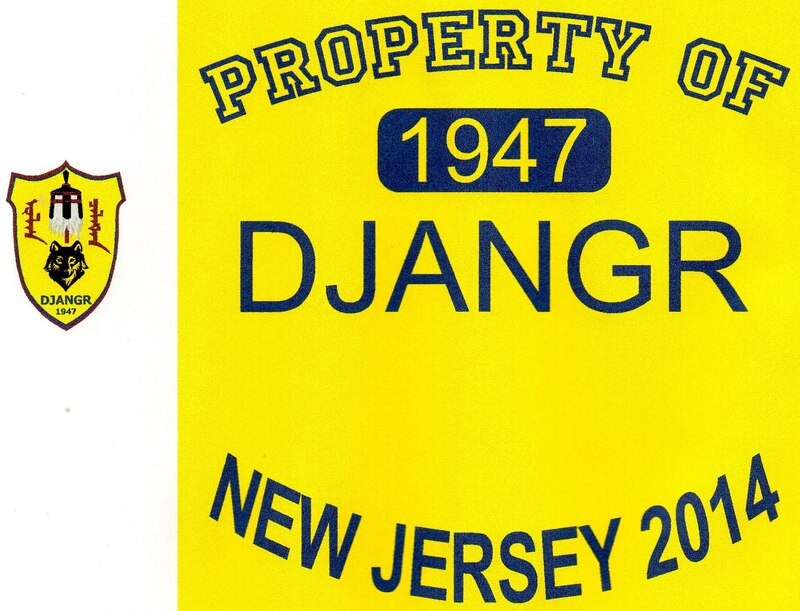 In addition, “New Jersey 2014” appears as we campaign to host the 2014 Mongolian World Soccer Championship in New Jersey. The t-shirt design is included in this post. Please place your orders by sending an email with the amount of shirts and the sizes needed to George Buruschkin at worldclass08@gmail.com. Please include your full name and a shipping address if necessary. (An additional $10 will need to be added to orders that require shipping. Shipping only in the USA). Orders can be picked up at the upcoming fundraiser picnic on May 11th after full payment is received. Shirts will also be on sale at the picnic but please remember that limited larger sizes are available so please place your order quickly. On behalf of the Kalmyk Brotherhood Society, we wish our Kalmyk Djangr team the best of luck in the 2013 tournament!! By Kalmyk Brotherhood Society in News on May 3, 2013 .